Last 16 and 17 November, the Committee took part in the Global Conference on Cities and Migration, in Mechelen (Belgium), organised by UCLG, the International Organization of Migrations (IOM), the City of Mechelen and UN-Habitat. The conference gathered over 150 representatives of local and regional governments from all over the world, as well as representatives of UN agencies and civil society. Over 50 cities were represented in the meeting, where they advocated for an international governance of migrations rooted on human rights and in which cities and territories have a key role to play. As part of the conference, the Committee organised a side event, “Human Mobility and the Right to the City”, and facilitated the session “Human Rights of migrants”. The conference adopted the Mechelen Declaration on Cities and Migration, as a contribution of Local and Regional Governments to the UN Global Compact for a Safe, Orderly and Regular Migration. In September 2016, the UN General Assembly adopted the New York Declaration for Refugees and Migrants, requesting an international conference on migration to be held in 2018, in order to adopt a Global Compact for a Safe, Orderly and Regular Migration. One month later, the New Urban Agenda was adopted at the Habitat III conference (Quito, October 2016). This document approaches migration as a structural component of cities, and invite states to allow the full exercise of all inhabitants’ human rights, regardless of their administrative status. 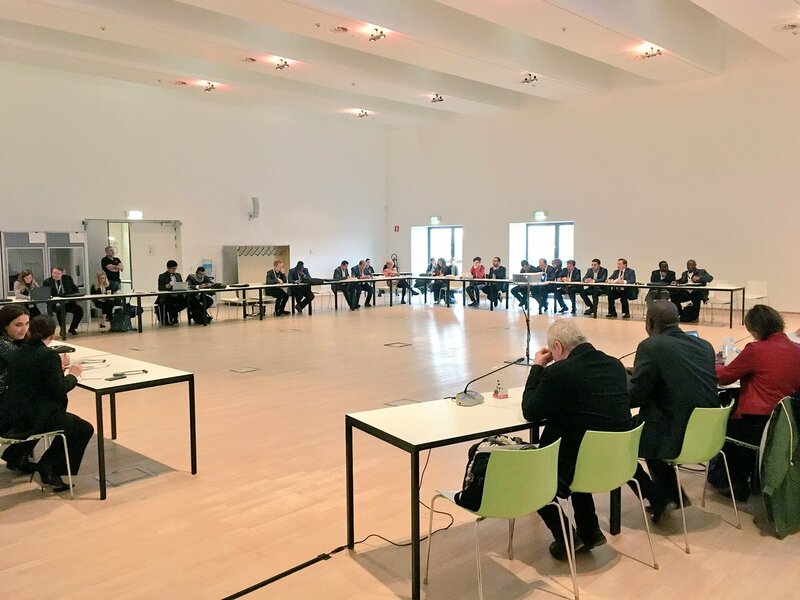 The Global Conference on Cities and Migration held in Mechelen was aimed at consolidating local governments’ contributions to the Global Compact. The conference strengthened the narrative on migration as an opportunity for cities. Indeed, the declaration adopted calls for taking into account local governments’ perspective in the process towards the Global Compact, and to guarantee the respect for migrants’ human rights and their access to basic services, as an essential step towards a sustainable management of migration flows. Conference participants called for strengthening the partnership between local governments, civil society and academia in order to contribute to a global policy on migration that respects promotes and fulfils universal human rights. According to Mohamed Bousraoui, in charge of Migrations at UCLG, “local governments’ position in the negotiations of the Global Compact will be based on three main principles: participation of all stakeholders taking part in migrations and their governance, including local governments; the paramountcy of migrants’ universal human rights in migration policies, and the principles of solidarity and cooperation”. As the New Urban Agenda, Mechelen Declaration calls for an effective protection of human rights of all city inhabitants, regardless of their origins or administrative status. The Committee was in charge of coordinating the session on the Human Rights of Migrants, where all participants agreed upon the need to advocate for a citizenship that goes beyond nationality but rely on a new model of citizenship based on the capacity to contribute to inter-cultural, solidary and democratic living places as a result of a collective co-creation. UCLG advocated for the Right to City as the best approach to that end. The session counted with a varied participation: the Mayor of Upala (Costa Rica), Juan Acevedo; the Mayor of Pikine (Senegal), Abdoulaye Thimbo; the Mayor of Gaborone (Botswana), Kagiso Calvin Thutlwe; the Deputy Mayor of Athens, Eleftherios Papagiannakis; the Vice-president of Nador’s City Council (Morocco), Amina Eloualid; the President of CONGOPE, Gustavo Baroja; Madrid’s Advisor on migrations, Berta Cao; and the expert on local economic development, Glenda de León. In a nutshell, speakers presented tools to facilitate migrants’ access to rights, such as the neighbourhood cards established in cities like Madrid or Barcelona, a residency proof issued by the municipality that allows inhabitants to access to public services and, in some cases like Upala, to employment. These experiences illustrate how local governments –as the government level closest to citizens–, play a key role in translating rights into concrete actions, hand in hand with civil society. To that end, the need for an effective decentralisation of competences and resources was emphasised as crucial for any policy aimed at guaranteeing rights. In this regard, the limits of current migration governance structures were highlighted: firstly, local governments often need to face national laws conditioning the enjoyment of some rights to their administrative status. Secondly, there are many local and regional governments that face financial constraints preventing them from implementing policies aimed at realising human rights. This is why it is essential to strengthen partnerships with civil society and other migration stakeholders at the local level, by setting up cooperation frameworks able to enhance a real inclusion of migrants. Furthermore, on behalf of the Global Platform for the Right to the City and in partnership with the Organisation for a Universal Citizenship led by EMMAUS International, the Committee organised a side event on “Human Mobility and the Right to the City” with the participation of Mayor Thimbo; Amélie Cannone, from EMMAUS International (OPCU); Vice-president Eloualid; Berta Cao; Joseph Schechla, from Habitat International Coalition (HIC-HLN), and Lola López, Commissioner for Migrations and Interculturality at the Barcelona City Hall. The event was attended by a large audience from all over the world. Speakers highlighted the importance of taking the macro-economic global context into account when approaching migrations, since it turns cities into the only alternative for peasants affected by climate change, land grabbing and free trade agreements. In this framework, it was emphasised that the Right to the City is not the obligation to the city, but it is rather based on a sustainable, balanced relationship between the city and its rural hinterland. Speakers also recalled that local governments have a key role to play in building relationships between home and host territories of migrants. In that way, decentralised cooperation allow for contributing to the communities’ territorial development. The session also focused on the need for approaching global migrations through the lens of the Right to the City, as a necessary tool for building an effective local citizenship for migrants. In this regard, speakers highlighted the importance of providing to the more marginalised groups a special protection. 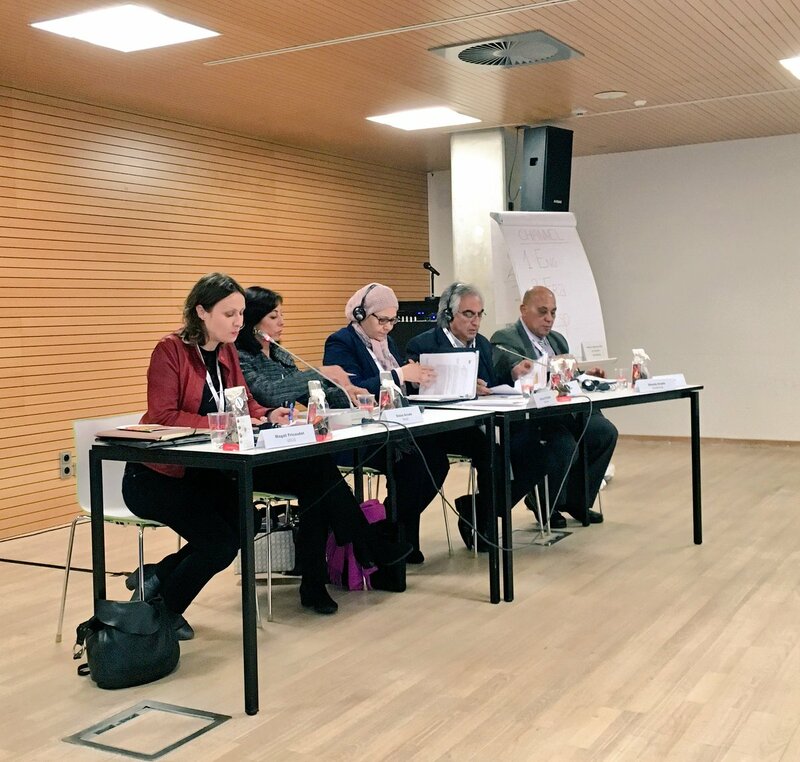 Both local governments and civil society representatives taking part in the event underlined their will to keep working for welcoming migrants, and for overcoming the many challenges they are facing in this regard –from insufficient financial resources to xenophobic political discourses. They reaffirmed their positions being aware that, nowadays, the sustainable management of territories needs to be based on actions aimed at recognising diversities and restoring equality, fighting discriminations and hatred discourses.